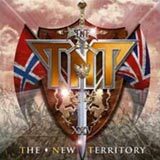 TNT is back with their new album, their first without vocalist Tony Harnell since their self titled debut in 1982. Twenty five years later, the Tony Harnell era appears to be over for good (he previously left and rejoined the band in time to record a new album). Enter British vocalist Tony Mills. Tony is best known for his work with Shy, which is excellent AOR / melodic hard rock. Mills certainly has big shoes to fill by joining TNT. Harnell has an instantly recognizable and unique voice that pretty much defined the TNT sound since 1984's Knights of New Thunder. Of course, Ronni Le Tekrø's guitar work is a huge part of TNT's sound, but Harnell's vocals had been the most familiar attribute of TNT over the years. Based upon vocal ability alone, Tony Mills is a very logical choice to replace Harnell. His high range will allow him to tackle the band's older material in a live setting, and he also has a very melodic delivery. Although I'm not familiar with Mills' solo work, his years with Shy were very well spent. Although Tony Mills was in my opinion a great choice for TNT's new vocalist, the musical direction taken on The New Territory is my main issue with this album. TNT is already faced with the difficult task of proving that it can succeed without Harnell. Taking such a radical departure from the band's classic sound only hurts this cause, in my opinion. My Religion was a great slice of classic melodic hard rock, albeit not the heaviest work from the band. All the Way to the Sun was mostly in the same vein, but not nearly as strong. The New Territory, as the name implies, pretty much decimates the classic, hard rocking sound of TNT. The band has largely gone for a more poppy sound, with the classic hard rock elements only making brief appearances throughout the album. Also, there are some very diverse and sometimes inexplicably strange experimentations throughout the album that just don't suite the band. Trying to be innovative instead of delivering the classic TNT sound seems to have detracted from the songs in a big, big way. I'm afraid that the very capable Tony Mills will take a hit for this album, but I truly believe that the songs are just not up to snuff. Songwriting as opposed to lead vocals are the problem with The New Territory. There isn't much on this album that really brings to mind what the name TNT stands for. A Consitution gets the album started. This is a moody and subdued track that features classic Le Tekrø guitar work. A more rocking opener would have been a better choice, but this is still a decent song. The guitar tone is very strange, sounding more like screechy bagpipes at times than guitars. Mills makes his TNT debut with a dark vocal delivery during the verse, but reaches his natural high ranges during the chorus lines. Substitute is next, a pop inspired rocker backed by some of the more aggressive riffing the album has to offer. This sounds like something similar to the Realized Fantasies era of the band. Too bad this track clocks in at under 3 minutes as it's one of the better of the album. Are You Blind? is next, the most instantly recognizable song on the album for me. There's not much rocking going on here at all, as the song has a very breezy, poppy nature. Even by TNT standards, this is a very poppy sounding track. Ronni offers up a very tantalizing solo toward the end of the song, but it is backed up by a hideously annoying "ew-oh-oh-ohhhh" harmony that is repeatedly hummed by the band. Despite that, the chorus is one of the strongest of the album, making the song itself alright. Golden Opporunity is where things start to get a little bizarre. Ronni offers another classic TNT riff, but the vocal line that leads off each verse is very annoying. The chorus is again strong, but the seemingly endless na-na-na-na bridge is utterly horrendous and ruins the song. Something Special features some beefy riffing from Ronni, and actually has a bit of that classic TNT feel, musically. The chorus is again very poppy, but I think this track could have fit nicely on All The Way To The Sun. Of course, it's different with Mills at the mic, but at least the familiar TNT sound return for a brief moment. The album really falls off the cliff with Now We're Talking. A rocking riff fools the listener into thinking a good song is at hand, but the song is killed immediately upon Mill's first syllable. Tony performs the verse of this song using a spoken, cockney accent. This is so utterly awful that it is laughable. If you've ever seen those GEICO commercials with the Gecko narrating, this track sounds like the GEICO Gecko is handling lead vocals; how atrocious! The choruses feature some effects laden falsetto pieces that further fling this song deep into the landfill. TNT manages to pick the album off the scrap heap with the next track, Wild Life. Easily, this is the song of the album. Here, we are treated to a rare, straight forward rocker backed by solid riffing and a great chorus. The lead vocals are free of any tinkering or experimentation, so we are left with a great TNT rock song. Of course, the album takes another step back with Fountain of Love. This is a balladesque, mid tempo cut that features some more effects laden vocals during the choruses. Also, a part of the choruses are given the falsetto treatment, which instantly screams The Darkness. Again, some very questionable songwriting choices kill what could have been a nice mid tempo song. Guys, lay off the vocal effects and the stupid falsetto gimmicks!! Please! Yet again, the album slips right off the edge of the cliff with the 50's cover of June. Just like cover of What A Wonderful World on All The Way To The Sun left listeners puzzled and reaching for the "skip" button, June serves the same role on The New Territory. The 50's doo-wop idiocy of this song has no place on a TNT album; it's that bad. At this point, it would be very tempting for most listeners to spin the CD out the window, and I wouldn't blame them. It's not like this track ruins a long run of killer tracks. Can't Go On Without is another super poppy track, similar to much of what appears on the first half of the album. Mills' delivers a solid, straight forward vocal line, but the chorus is very lackluster, and the happiness of the song is a bit over the top. Two Seconds Away is a decent rocker, with some experimental production used. The chorus is OK; not flat, but certainly not up to par with what the band is capable of. The guitar work and attitude is classic TNT, however. This sounds like something from the Transistor era of TNT. Milestone River is a psychedelic ballad, maybe even touching on some new age elements. Certainly, this will not appeal to many TNT fans, as there is no sign of any rocking or classic TNT sounds at all. However, this is one of the few times were experimentation doesn't sound all that bad. Let's Party Mills closes the album, but it's not really even a song at all. It's simply Tony Mills running through the album credits in his cockney accent. Again, is this the damn GEICO Gecko, or the lead vocalist for TNT? At any rate, this is just a annoying piece of fluff that will likely be skipped by all after even a portion of a first listen. As I said previously, I have absolutely no problem with Tony Mills fronting this band. He has the voice to handle the demands of TNT's back catalogue, and he certainly fits the style of the band. Unfortunately, some questionable and even ridiculous songwriting decisions seriously plague this album. There are some solid moments of the album where the band delivers good ol', classic TNT hard rock. However, those moments are few and far between, buried amongst some absolutely atrocious experimentation and songs that just don't measure up to what this band is capable of. It really sounds like the band chose to take a radically different musical direction with this album, and focused too much on mixing things up as opposed to just writing good rock songs. Sadly, this musical decision makes it all the more difficult for TNT to introduce Tony Mills to their fanbase. While I have an issue with some of Mill's vocals on this particular album, I know from his past that he is great rock singer. Blaming the new guy for a weak album is not the answer here. The radical musical change TNT chose with Firefly led to serious fan backlash, and I wouldn't be surprised if the musical change on The New Territory at least comes close to that. Of course, some will blame the new guy, which certainly compounds the problem. However, I don't think that's fair. If TNT can return to just writing excellent, melodic hard rock tunes, no one will have an issue with Mills, and TNT will be fine. Bonfire was able to comeback from their colossal failure, Free. Hopefully, TNT will be able to swipe a hard rock gem out of their pocket for their next album.